The RouteSavvy Route Optimization Knowledge Center features a growing library of free information on how to choose the right route optimization software for your fleet, case studies that help explain the ROI of route optimization software & more. Please check back periodically for more free information on route optimization to help streamline operations & improve profitability for your small to mid-sized fleet. 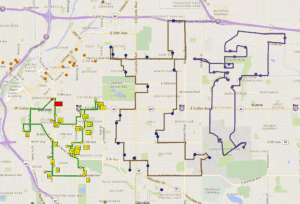 Whether you’re in the delivery & pick-up business, traveling to multiple locations to provide services, or an individual professional that travels to multiple locations in the course of your work day, this route optimization information will help you make informed & thoughtful decisions for your business. 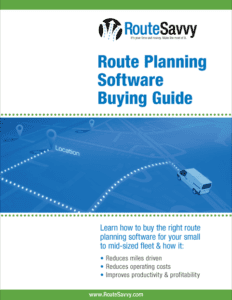 If route planning software is on the wish list for your small to mid-sized fleet, please review this Route Planning Software Buyer’s Guide BEFORE you purchase this important tool for your business.